How to create a sub region shapefile from MasterMaps on QGIS? I have the OS Mastermaps on a PostGIS database and this is connected to QGIS. Mastermaps is visualised well on QGIS with all the layer styles. A region is clipped from PostGIS and created a new table. When this is visualised on QGIS the layer styles are not visible as shown in the image. I tried copying the layer style from the original layer to the new layer but still it does not show on the layer. However in the properties the new style can be seen. 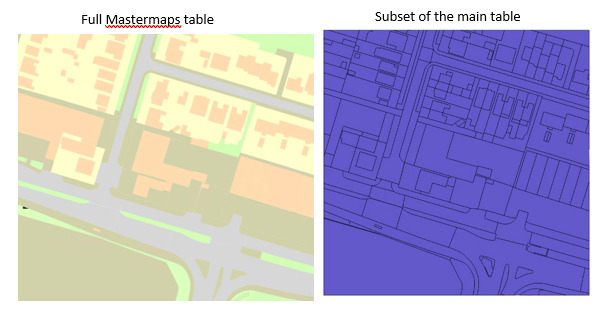 Can you please help me to apply the original styles to this new layer and save as a shapefile? Browse other questions tagged qgis postgresql os-mastermap or ask your own question. How to save data from QGIS 1.8 to PostGIS without shapefile intermediate?